The Centre for Medieval Studies here at Exeter is well-known for its sense of community, and for the value it places on the exchange of ideas in an informal and relaxed setting. One of the key events in our research year, the annual Orme Day, aims to achieve exactly that with a postgraduate symposium followed by the Nicholas Orme lecture, a public lecture on medieval studies by a visiting speaker. This year’s event – affectionately known as the ‘Feast of Orme’ – took place on Tuesday 12th March. After the unfortunate disruption to last year’s event caused by industrial action, we were delighted to be able to run the event in its traditional format once again. The day began shortly after lunch, with a series of 20-minute presentations from current postgraduate students. The topics of these presentations reflected the wide range of research undertaken at the Centre. Philip Wallinder’s talk, ‘Apocryphal? Who, Me?’, examined John Trevisa‘s approach to translating the Gospel of Nicodemus into Middle English and was informed by both translation theory and the close-reading of Latin and Middle English texts. Trevisa’s concordance of several distinct calendar systems and his use of intertextuality offered fruitful topics for discussion, as Philip drew on texts from St. Jerome’s Chronicon to recent editions of the Latin Nicodemus to illustrate the relationship between the Middle English ‘Nicodemus’ and its sources. By contrast, Ekaterina Novokhatko, a visiting PhD student and member of the HERA After Empire project, focused on more geographical questions in her presentation. She outlined her attempts to map the spread of martyrological texts (and their attendant communication networks) in eleventh-century Europe. Her talk showed how Catalonia functioned as a zone of contact, within which French interest in the life of St. Gerald met the northern Italian focus on St. Alexius; using mapping tools, she neatly illustrated how these two ‘models of the layman saint’ circulated together in the area in which a contemporary pope, Silvester II, had studied in his youth. There was a similar saintly focus to Henry Marsh‘s talk, albeit in a less conventional sense: Henry explored the Gesta Henrici Quinti (1413-16), a text that has typically been interpreted as a paean to his namesake’s celebrated martial prowess. Henry, however, focused squarely on those readings that emphasise the almost-hagiographic elements of the text, arguing that in order to grasp the anonymous author’s full understanding of the king, it is necessary to acknowledge those readings that look beyond the commonly-cited sources of chivalric texts and to consider the Gesta as a response to challenges posed both by France and by Lollardy. The text, Henry noted, frames the King’s physical struggles as spiritual struggles, down-playing traditional ‘hack-and-slash’ romance-inspired elements and aligning the monarch, perhaps counterintuitively, with saints who had faced off against temporal power. While the Gesta might be useful for analysing myth-making, Henry suggested, it is equally important to ask precisely which myths its author was attempting to create. Following a short break, the gaggle of medievalists reassembled in the plush surroundings of the Business School for the keynote Orme Lecture, delivered by the inimitable Miri Rubin. 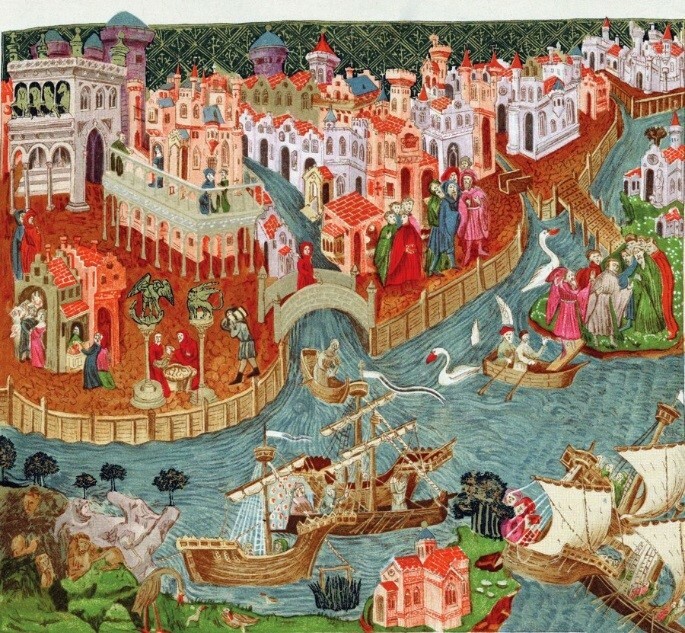 Prof. Rubin’s talk concerned urban societies in the Middle Ages and was entitled ‘(Italian) Cities of Strangers: Some Ways Medieval Cities Thought About Their Diversity’. 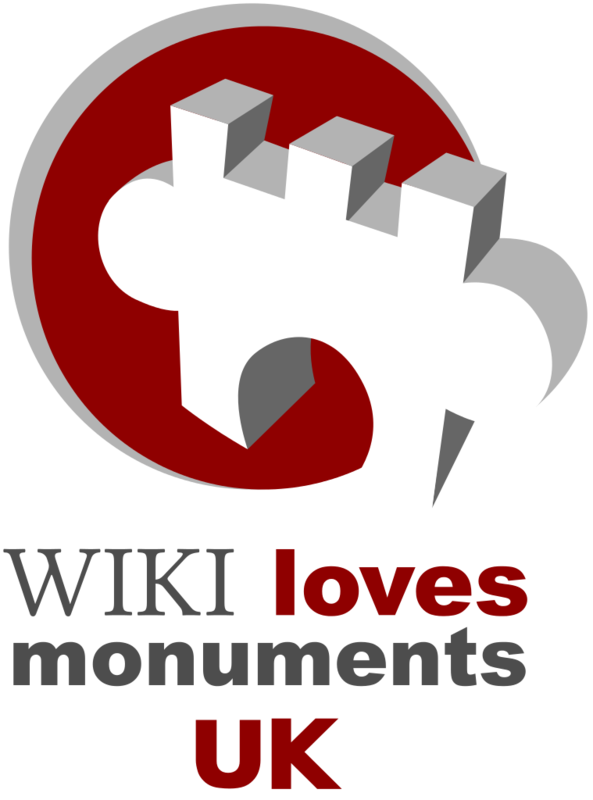 As she explained, this topic was just one of many that would have paid tribute to the work of Nicholas Orme, but it was probably the most effective in allowing the assembled audience to engage with the ‘search for the human’ that has been at the heart of his research. 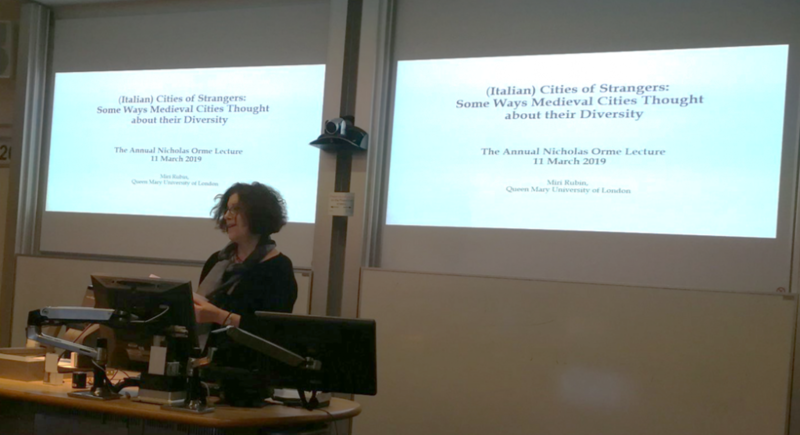 Over the course of her lecture, Prof. Rubin examined attitudes to ‘strangers’ and ‘foreigners’ in medieval Italy and beyond, charting how the ‘Great Transformation’ of the fourteenth century led to a shift in views on non-locals. Thinkers and legal theorists, she stressed, increasingly moved away from ‘pathways to citizenship’ and embraced a ‘rhetoric of exclusion’. Her startling final slide – showing a post-Black-Death ‘ideal’ city as one that appeared to be empty – left us all with plenty to think about. It was a talk that talk invited comparisons with contemporary attitudes towards immigration and integration, and stressed the complex relationship between medieval and modern attitudes to the ‘other’. It certainly was a fascinating and stimulating day for all involved, and a reminder of the vitality and vision that characterise the Centre for Medieval Studies’ research community. The Centre would like to thank all of those involved in planning, organising and contributing to the event, from postgraduates to our keynote speaker; in particular, however, we would like to show our appreciation for Nicholas Orme, whose generous funding of the lecture series allows us to invite many of the leading lights of contemporary medieval studies to challenge, inspire, and invigorate us all. I’m currently in the process of putting together a session (or two, if there’s a lot of interest) on Fertility and Infertility for next year’s International Medieval Congress at Leeds. I’ve been working on a long-term project on medieval attitudes to infertility for some time, and have written about it on the blog before. Infertility and childlessness crop up in a wide range of medieval texts and my sense, from discussing the subject informally with other medievalists over several years, is that quite a few people are now working on this and related topics from a variety of angles, building on what is now a large and sophisticated body of work from historians of medicine in particular. It would be nice to bring some of these scholars together and think about future directions for the field. 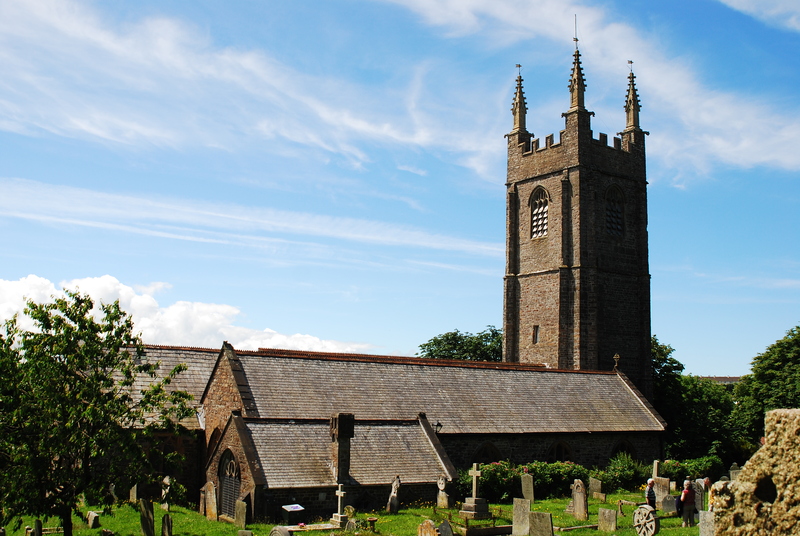 So, if you’re working on medieval fertility/infertility/reproduction related topics and would be interested in giving a paper, please get in touch with me by 15th September – c.r.rider@exeter.ac.uk. Papers that approach the subject from any angle or source base are welcome, and could include people working on history of medicine, literature, demography, marriage, etc. 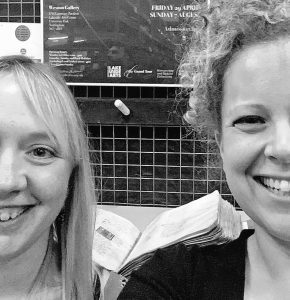 And if you are more organized than me and have already made your Leeds plans but would be willing to chair a session, please also get in touch. Last week I went to the annual summer conference of the Ecclesiastical History Society, which was held here in Exeter. This year’s theme was Churches and Education, and it attracted a large turnout from scholars working on all periods, from the early church to the twentieth and twenty-first centuries. 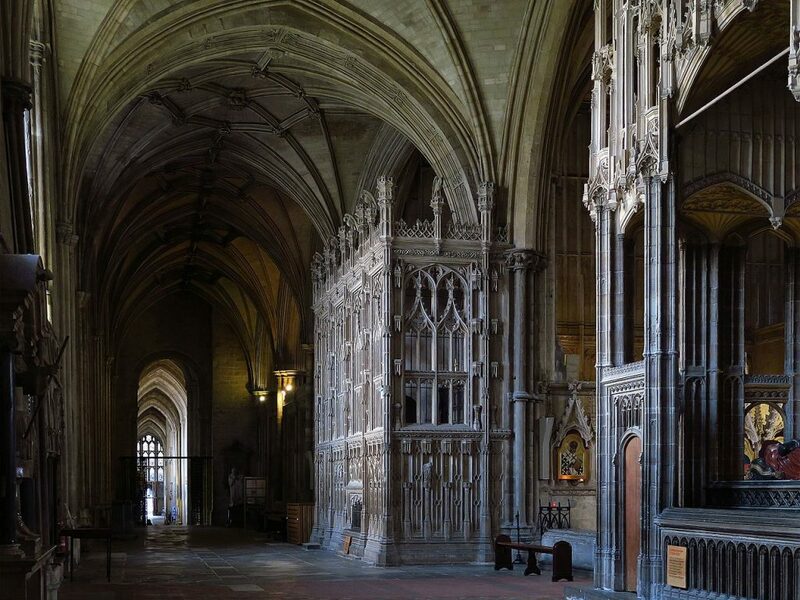 The president of the EHS this year is Exeter’s own Morwenna Ludlow from the department of Theology and Religion, and Morwenna gave a plenary lecture relating to her own area of specialism. 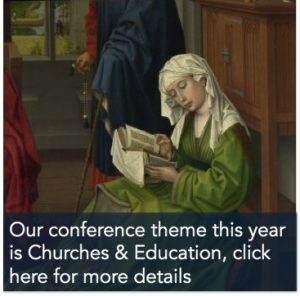 This lecture, given jointly with Sophie Lunn-Rockliffe (Cambridge) focused on what early Christian writers in the Latin and Greek traditions said about the pleasures of Bible study – a fitting opening to an academic conference. Three other Exeter medievalists also gave papers: history PhD student Des Atkinson, talking about the education of the fifteenth-century archbishop of Canterbury John Morton and his contemporaries; theology research fellow Hajnalka Tamas, talking about a fourth-century theological controversy relating to the teaching of a layman, Heraclianus; and me, talking about the medieval church and education relating to pregnancy. As ever, the EHS offered an interested, sympathetic and knowledgeable audience. It is a good place for PhD students and early career scholars, in particular, to offer papers. The audiences offer helpful feedback and the proceedings, published as Studies in Church History, offer an early publication opportunity for many scholars; indeed, one of my first papers was published there, back in 2006. Overall there were fewer papers on late antiquity and the Middle Ages than at some of the other EHS conferences I’ve attended. Perhaps for some reason (despite the attractive medieval image on the call for papers) the theme appealed particularly to specialists on the nineteenth and twentieth centuries. 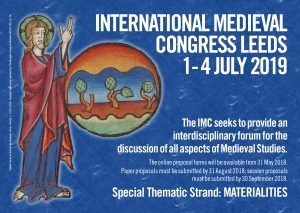 It is also possible that the Leeds conference, held two weeks before, is providing ever more competition for medievalists’ time, as well as their conference budgets. Nevertheless there were a number of interesting papers on medieval subjects: on Bede, on hagiography, on Pope Gregory VII, and on twelfth-century pastoral care, among other topics. There were also papers on other periods which dealt with questions and topics relevant to medievalists: I particularly enjoyed a plenary lecture on the role of (early modern) convents in educating girls. Next year’s conference is on the Church and Law, and will be held in Cambridge, so I’d recommend medievalists take a look! 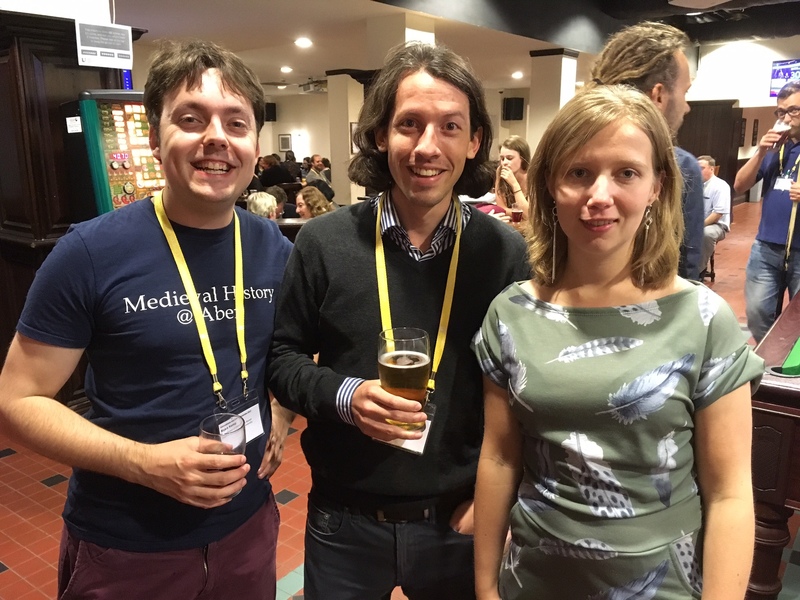 The annual International Medieval Congress hosted by the University of Leeds in July (and known affectionately as the ‘IMC’ or ‘Leeds’) is the highlight of the European medieval calendar – and this year saw a particularly large number of Exonian intellectual pilgrims make the journey north. The theme of the 2017 congress was ‘Otherness’, which meant that what tends to be a rather historical gathering took on a more literary tone (be that good or bad, depending on your perspective). Medievalists certainly took the theme to heart – the word ‘other’ could be found on session or paper titles on almost every page of the programme. However, while inspiring a wide variety of takes on the topic, it proved less conducive for amusing paper titles (and meant my slightly risqué effort got more attention than expected). Fortunately, other members of Exeter’s Centre for Medieval Studies made their mark in less frivolous ways. The elusive James Clark helped to kick off proceedings with a paper in the very first session, while his PhD student, Henry Marsh, was among those presenting towards the end of the conference on Thursday. Other speakers from our extended PhD community included Lorena Fierro-Diaz, Edward Mills, Eddie Proctor, Lenneke van Raaij, Teresa Witcombe, Tabitha Stanmore, and Ryan Kemp. Among the staff, Richard Flower, John Wilkins and Sharon Marshall carried the banner for Late Antiquity and Classics, while I represented History and the High Middle Ages. In addition, Philip Schwyzer and Naomi Howell hosted two sessions drawn from their new HERA project, ‘Deploying the Dead: Artefacts and Human Bodies in Socio-Cultural Transformations‘. 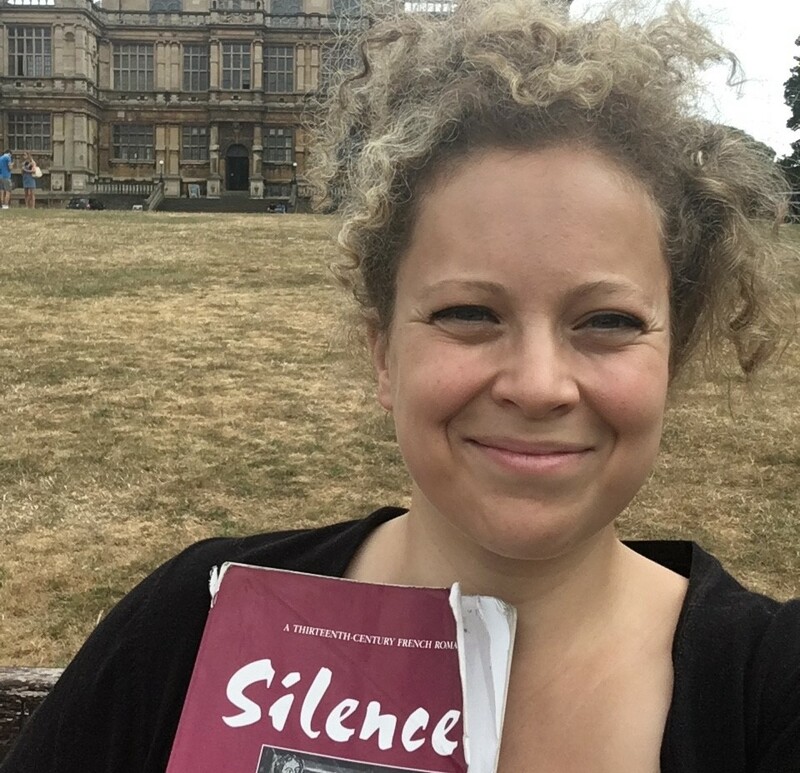 Stealth participants (attendees not listed on the programme) included PhD student Imogene Dudley, Sarah Hamilton, and our man of the moment, Levi Roach, who received a number of hearty congratulations for receiving the Longman/History Today book prize last week. 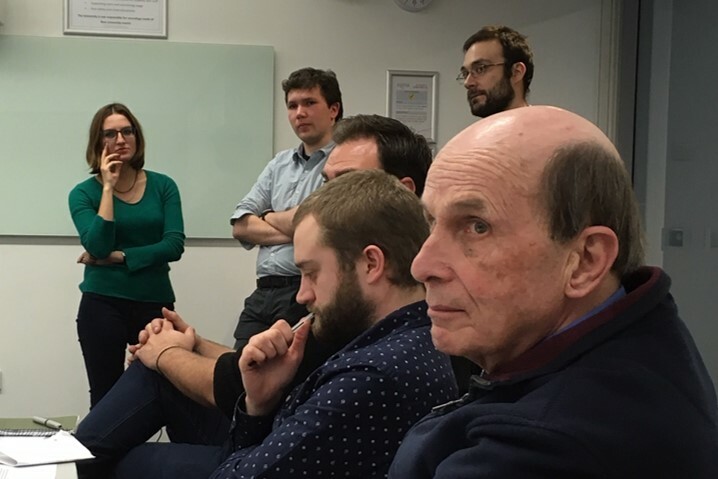 Both staff members also took the opportunity to hold supervisions in person with PhD students who are usually absent from Exeter due either to their status as DTP-award holders or employment through international research projects. Alongside current members of the Centre, a number of former Exonians were also present: Prof. Julia Crick, Drs Daniel Roach and Matt Mesley, and Kieran Ball, an undergraduate at Exeter and now a DPhil student in Oxford. Meeting up with old colleagues and friends, as well as networking with other scholars, is the lifeblood of Leeds – and while the latter normally takes place during scheduled sessions and roundtable discussions, it also frequently occurs in the coffee breaks and wine receptions that break up the action. With the conclusion of yet another Leeds (and with my ears still reeling from what had been a frighteningly loud disco), my thoughts turn to the value of this event. 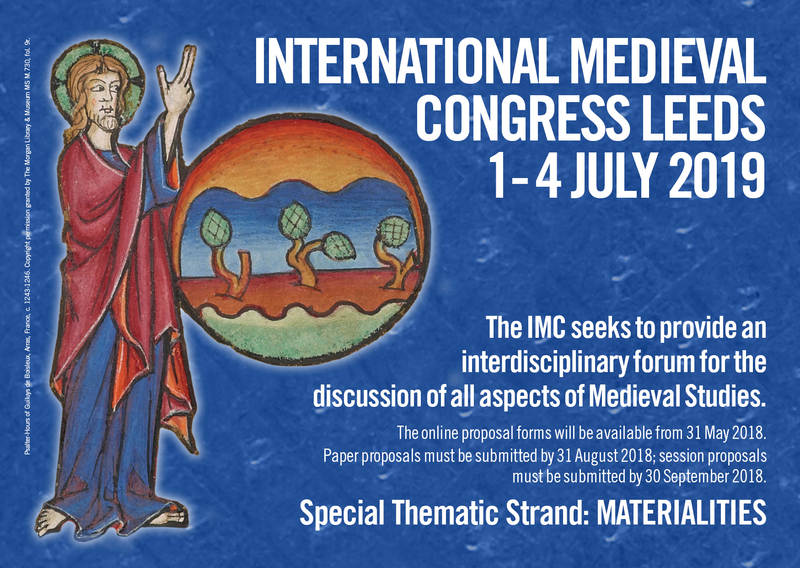 It is hard overstate the importance of the IMC to the European medievalist community. Despite the wide time period and different disciplines covered by Medieval Studies, medievalists have managed to forge a strong and cohesive sense of identity – and, on this side of the Atlantic, Leeds has played a significant role in this. 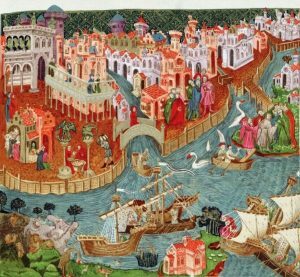 It provides a venue for European medievalists to meet regularly en masse and to present and discuss the latest research in their fields. 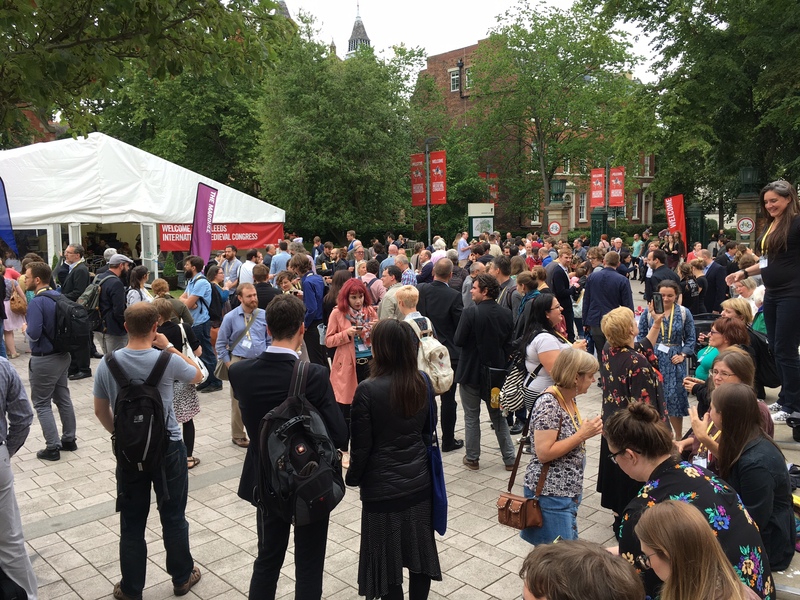 The to-and-fro of scholarly exchange and the general bustle of the congress helps to re-energise tired teachers and to reassure PhD students of the wider value of their work. 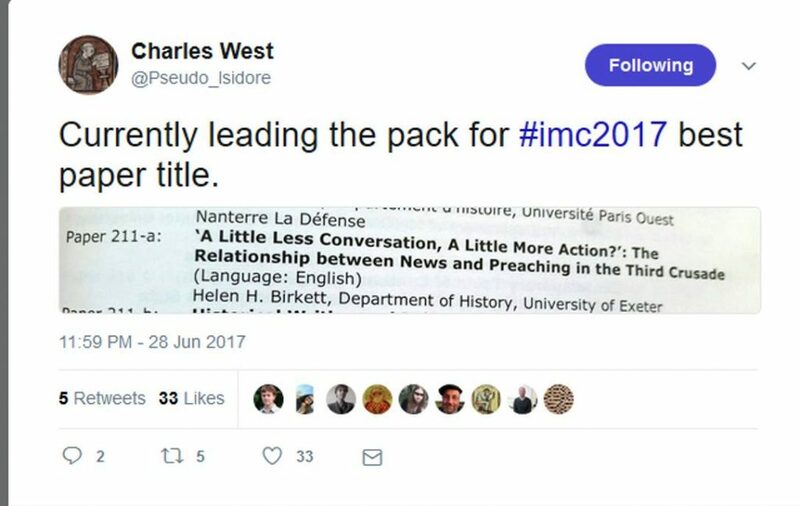 And, as the relationship between the UK and Europe fractures, it seems even more important to attend the congress and maintain long-forged links between scholarly communities on opposite sides of the Channel. But Leeds is also, simply, an opportunity to celebrate the arcane pursuit of Medieval Studies and the joy of working with medieval sources. Having said this, attendance at Leeds remains an expensive affair and means that younger scholars, especially those without external funding, don’t always find it easy to join in the fun. The cost of registration and accommodation is pretty high and unlikely to decrease, especially as the financial effects of Brexit hit the UK economy. The bursaries offered by the IMC organising committee go a small way towards mitigating this cost. Yet, despite the barriers to attendance, I believe it is important for PhD students to experience this event at least once. It offers an opportunity – unrivalled in Europe – to share ideas and network with a wide variety of junior and senior scholars. This can lead to future collaboration and can help to establish reputations in a very competitive job market. The best way to participate in Leeds is, firstly, by presenting a paper and, secondly, by doing so in a pre-organised session rather than submitting an individual paper for consideration by the organising committee. Being part of a pre-organised session helps to ensure the coherence of your panel, which, in turn, will help to attract a larger audience. So, if you know others working on similar research themes, be pro-active in organising a session and don’t be afraid to invite more senior scholars to join you – even if it is just in the role of session moderator. 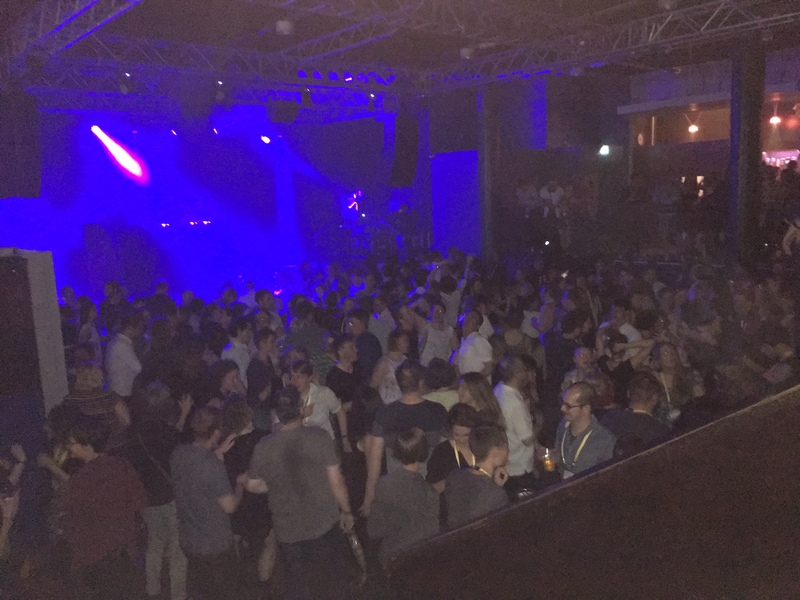 The theme of next year’s congress is ‘Memory’ (which looks set to reassert history’s dominance at Leeds), but sessions and papers can be proposed on any topic – the theme is there to prompt rather than define content. The deadlines for submitting proposals are 31 August for individual papers and 30 September for sessions. These dates aren’t that far in the future so it might be best to follow Nathan Greasley’s example and start your preparations now… See you there next year!